I remember Martin Sheen was featured on the back pages of Bon Appetit, where they used to run a celebrity spot every month. It wasn’t until I got my copy of “Best American Recipes 2003-2004” by Molly Stevens (I loved that series of books) that I paid attention. She highlighted Martin Sheen’s Pumpkin Cheesecake in the most glowing terms. She’s not wrong! This time of year I just seem to crave lemony flavors. I think lemon is a promise of spring with it’s bright, sunny flavor. Goodness knows we need that promise this year! 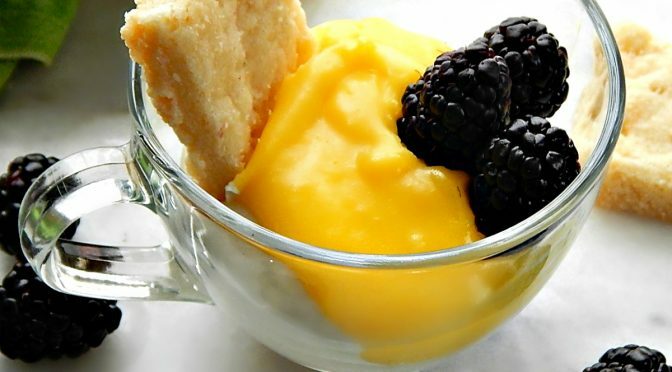 These bright, lemony No Bake Lemon Cheesecake Parfaits will make you forget about all that. 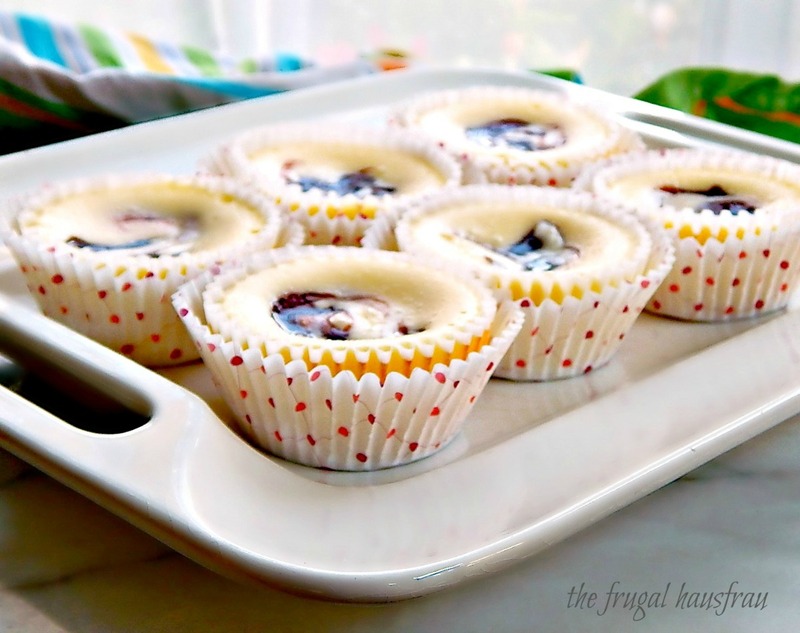 These Mini Strawberry Swirl Cheesecakes are my new love. Aren’t they just the darlingest little babies? And yes, they’re adorable – and just as delicious as they look. But beyond that? They’re perfectly portable and easy to share. Unless you want to hoard them all to yourself? Ok guys, its time for true confessions, here. Do you have any fears? See, I do. I’m afraid of anything wriggly other than puppies & kitties. I have a thing about going too fast in cars, especially around drop-offs after rolling a car down a cliff. And. Most. Of. All. 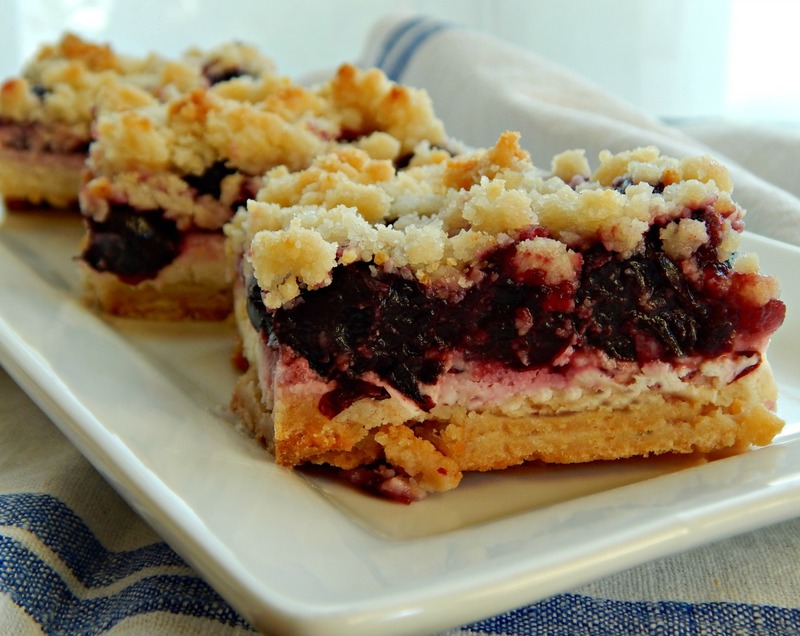 Wait for it: I’m afraid of cherry pie filling. Ummhmm. You heard it right. Cherry Pie Filling. I fell off the healthy wagon early this month and made Death by Chocolate Cheesecake! 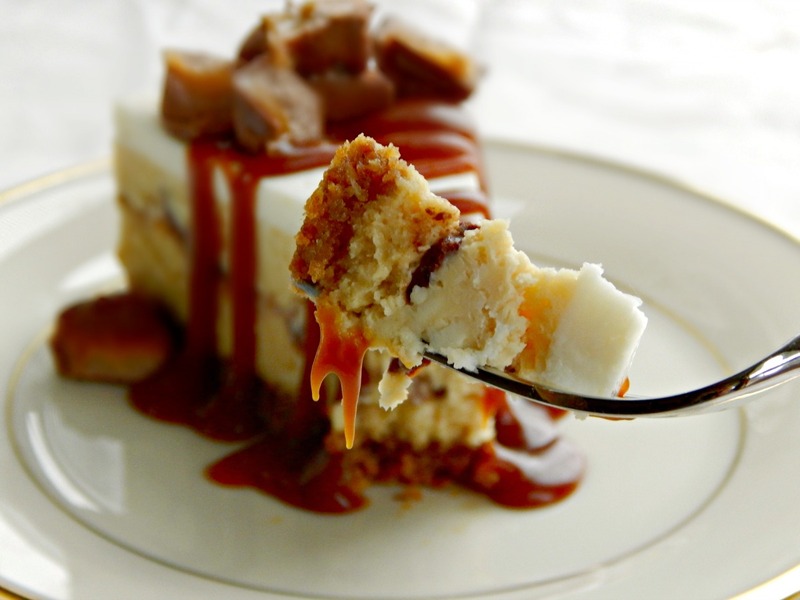 Hands down the most decadent cheesecake, ever. It should carry a warning, just in case the name Death by Chocolate Cheesecake isn’t enough to clue you in. 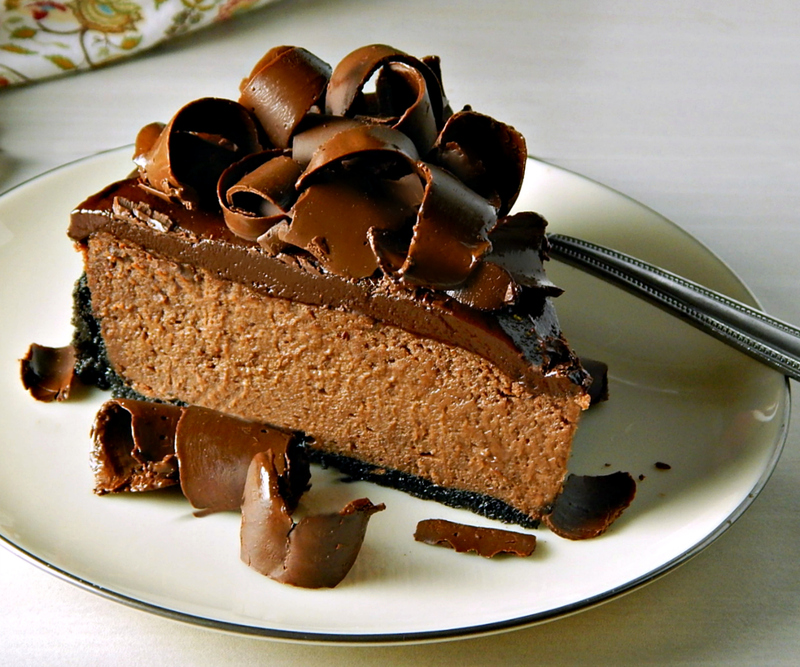 It’s a serious Chocolate Cheesecake for serious chocolate lovers, only! 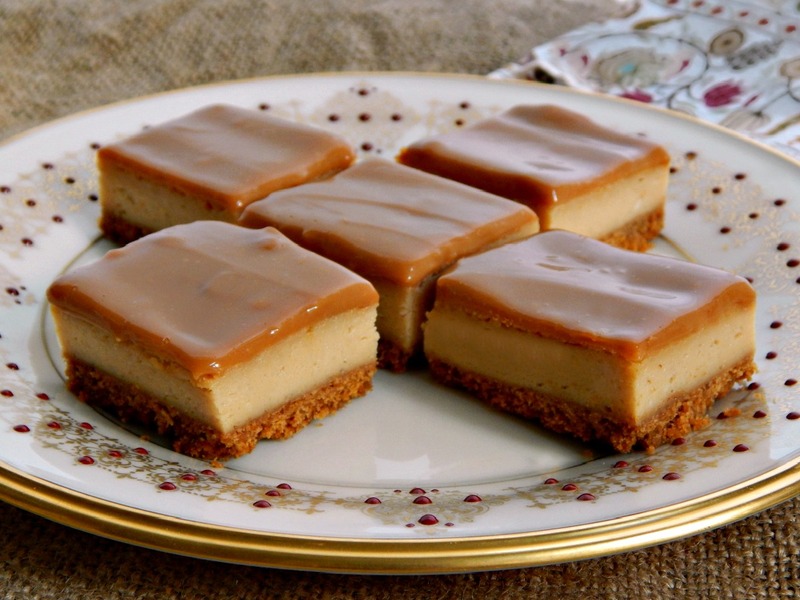 For a while, Dulce de Leche was virtually unknown in much of the States until it became all the rage years ago. If you’ve never had it, Dulce de Leche is rich, spoonable caramelly goodness and you buy it, usually in a can. 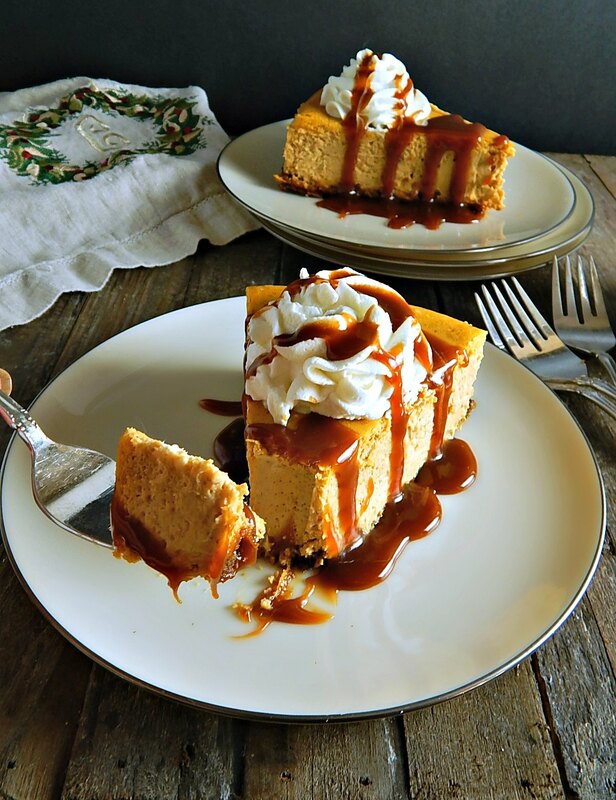 Dulce de Leche can in all kinds of ways, but here Dulce de Leche is spread on top of a cheesecake base for these delish Dulce de Leche Cheesecake Bars. Oh, yes, please! Finish these Dulce de Leche Cheesecake Bars with a sprinkle of Fleur de Sel to add a bit of spark. Umhmm! Salmon Cheesecake? Really? Reactions of those who’ve never considered a savory cheesecake tend to vary until someone tries this creamy, smoky spread. You may have to get over the name, but you’ll never get over your first taste…I cannot tell you the number of times I’ve been asked for it. 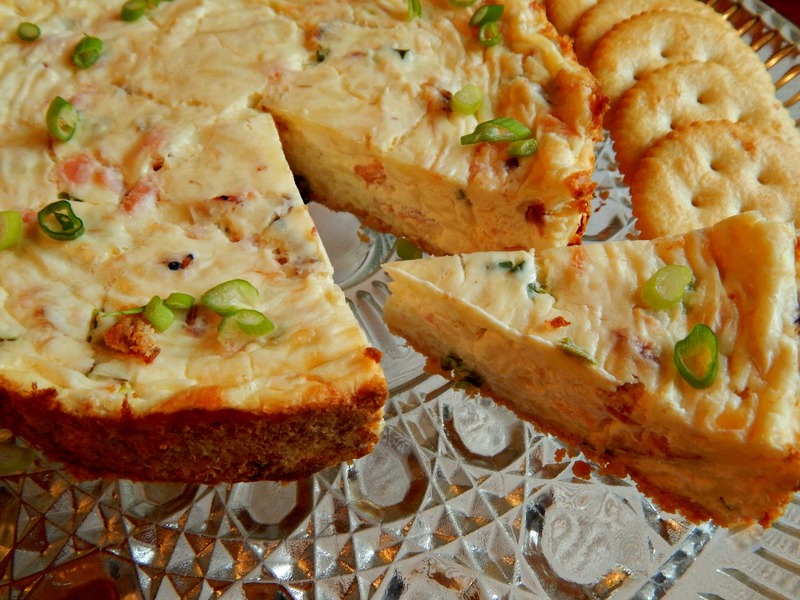 Smoked Salmon Cheesecake – this is 1/2 recipe made in a baby cheesecake pan.